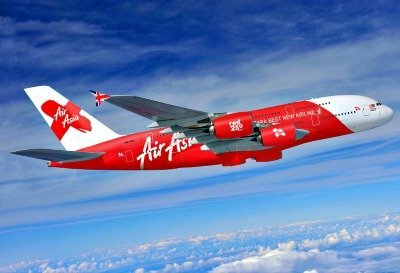 AirAsia, the world’s best low-cost airline and Filipino favorite, is bringing the world’s first ever Freedom Flyer Programme - designed to reward loyal guests with an easier, faster, and better way to earn AirAsia BIG Points - to the Philippines. First launched in Malaysia, the overhauled loyalty program powered by AirAsia BIG Loyalty features a unique membership status system based how often guests fly, regardless of how much they spend on fares or how far they fly. The more you travel with AirAsia, the faster you will level up from Red to Gold, Platinum, and ultimately, Black. The higher the status, the more BIG Points you will earn, allowing you to fly farther to more than 130 destinations across Asia Pacific. Each guest is automatically a member, starting with Red status where you will earn up to 20 BIG Points per PHP125 spent (subject to foreign exchange fluctuations). Gold members earn up to 40 BIG Points, Platinum up to 70 BIG Points and Black up to 120 BIG Points. Additionally, long-haul and Fly-Thru flights count as two one-way short-haul flights for membership status qualification purposes, making it doubly rewarding to travel with AirAsia X.
AirAsia Philippines CEO Captain Dexter Comendador says, “We appreciate our guests deeply and we wanted to give them more opportunities to travel to new, incredible places. AirAsia BIG Loyalty Acting CEO Sereen Teoh said, “Introducing the world’s first Freedom Flyer Programme is our way of saying thank you for making AirAsia the world’s best low-cost airline and for helping AirAsia reach its half a billion guests flown milestone. Guests with a minimum of 100 BIG Points can now pay for their flight bookings with BIG Points on airasia.com. This way, you can easily utilise your BIG Points to enjoy even more savings on AirAsia’s low fares. Other BIG Member privileges include 90% off flights during monthly promotions like Final Call Sale and Final Call Sale X exclusively on the AirAsia BIG Loyalty app, plus 24-hour priority redemption for RED HOT PISO SALE anytime, anywhere. Additionally, as an airline loyalty programme that goes beyond flights, AirAsia BIG Loyalty has over 160 partners worldwide, including Globe Telecom, Petron, Zalora, Agoda and SM Hotels to name a few, representing popular Filipino brands that members can earn BIG Points from to redeem flights to their dream destinations. To learn more about the Freedom Flyer Programme or to register, visit airasiabig.com or download the AirAsia BIG Loyalty app, where existing members can also check their new membership status.